· new discussions concerning the impact of experimental philosophy, cross-cultural comparison studies, metaphilosophy, computer simulations, idealization, dialectics, cognitive science, the artistic nature of thought experiments, and metaphysical issues. This broad ranging Companion goes backwards through history and sideways across disciplines. It also engages with philosophical perspectives from empiricism, rationalism, naturalism, skepticism, pluralism, contextualism, and neo-Kantianism to phenomenology. 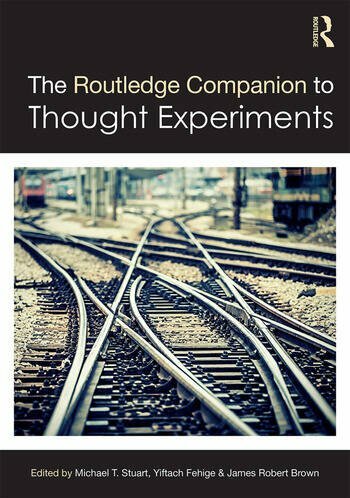 This volume will be valuable for anyone studying the methods of philosophy or any discipline that employs thought experiments, as well as anyone interested in the power and limits of the mind. Michael T. Stuart is a fellow of the Centre for Philosophy of Natural and Social Science, London School of Economics, UK. Yiftach Fehige is Associate Professor at the Institute for the History and Philosophy of Science and Technology, University of Toronto, Canada. James Robert Brown is Professor of Philosophy at the University of Toronto, Canada.